Katherine O’Neill has stepped down as president of the Progressive Conservative Association of Alberta, three weeks after the election of Jason Kenney as new party leader. 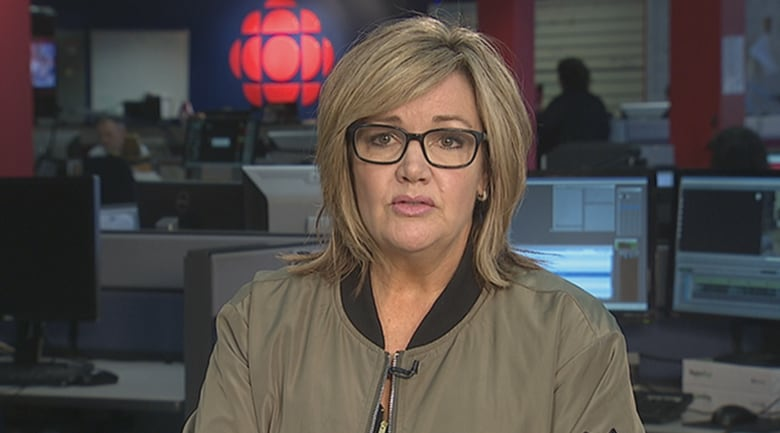 Katherine O'Neill says she has stepped down as president of the Progressive Conservative Association of Alberta, three weeks after the election of Jason Kenney as new party leader. "I helped with the transition when our new leader was elected and I really feel we are in a solid position and I think it's that perfect time for me to step back," she told reporters in Edmonton Friday. O'Neill said she felt she could step down after the party hired Janice Harrington as interim executive director this week. Troy Wason resigned as executive director on March 19, the day after Kenney's election. Kenney wants to dissolve the PCs and join with Wildrose members in a new conservative party. By running on that platform, Kenney won 75 per cent of ballots cast in last month's leadership vote. "You have to listen to your membership and if they're telling you that they want to do this, then you at least have to explore it," O'Neill said. "Mr. Kenney was very clear that this was his agenda and I honour what our members told us to do and I wish everyone luck. "I'm still going to be a proud Progressive Conservative and we will see where this goes." Kenney wasn't doing interviews Friday, said a spokesperson. But he had kind words for O'Neill in a Facebook post. "I have had a positive working relationship with Katherine as we have gone through the transition period," Kenney said. "I thank her for her kindness, help and good advice." The former journalist and candidate was elected party president in May 2016, one year after the party lost power to the NDP in the 2015 provincial election. She frequently sparred with Kenney's team during the leadership campaign over breaches of the rules. O'Neill called for the party to investigate after former PC MLA and leadership candidate Sandra Jansen said volunteers from another campaign harassed for her socially progressive views at a party convention last fall. The independent investigator found that Jansen was harassed, but that the people who were harassing her weren't directed by any group. On Friday, Jansen, now an NDP MLA, said she has heard from friends that social progressives no longer feel welcome in the PC party. She wasn't surprised that O'Neill decided to pack it in. "I don't believe there is a single progressive that's been made to feel at home at any table Jason Kenney sits at," Jansen said. The PCs under Kenney are now in talks with the Wildrose about forming a united conservative party to run against the NDP in the 2019 election. A discussion group made up of five people from each party met for the first time this week. They are tasked with coming up with a unity agreement that will be voted on by members from both parties this summer.